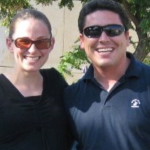 As mentioned in the article I wrote prior to flying out to the 2018 Malta Poker Festival, one of the things I was most looking forward to was meeting Ivonne Montealegre, who spearheaded the entire initiative. Rarely do I encounter anyone in the poker world with energy and enthusiasm that matches my own, but I feel Ivonne most certainly fits that bill. 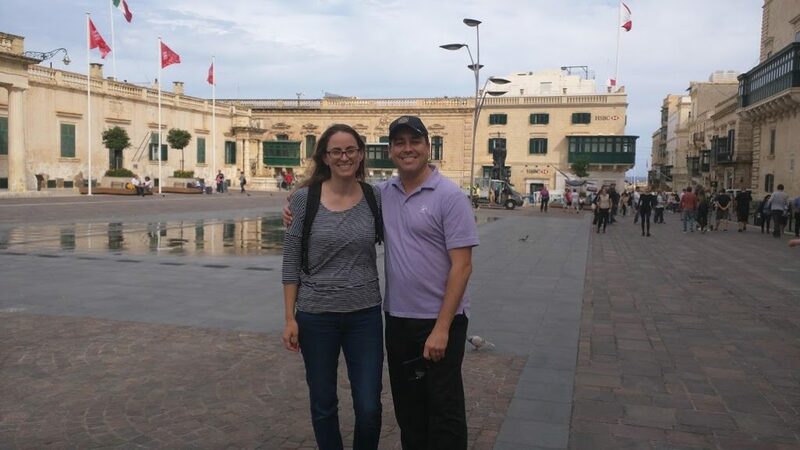 Simply bursting with life and excitement, her passion for poker and for Malta is infectious, and I admittedly caught the bug while attending the festival over the past week. Ivonne and I had the chance to sit and chat a few times while I was in Malta, but it was over the course of a 30-minute interview on the last day of the festival that I feel I really got to know her well. 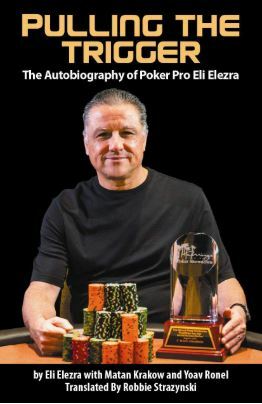 I’m glad to have had the opportunity to learn more about her life and career in the poker world, and am pleased to share the interview with you, below. So we’re here in beautiful Malta, at the Portomaso Casino with Ivonne Montealegre. 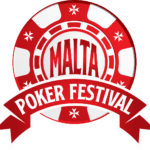 It’s towards the end of the Malta Poker Festival and things are finally calming down a little bit, but before we get to talking about the festival, I’d like to start at the beginning of your career. I read in the 2017 Winter Edition of EBM Magazine that you first started organizing poker tournaments when you were just 19 years old. How did you break into the industry, and how did you manage to do that at such a young age? Well, I think I’ve been a lucky lady. And I’ve had a lot of luck in my life and I’ve been surrounded by great people, great networkers. And my country, Costa Rica, back in the 90s, was the iGaming hub in the Americas. I mean, we catered for the Americans before Black Friday. 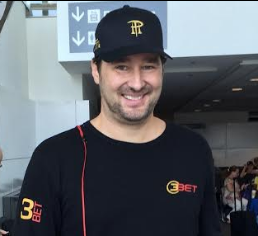 So you had all the big companies, Ultimate Bet, Sportsbook.com, Paradise Poker. 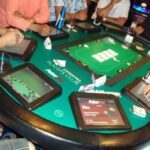 And I made a transition from Sportsbook.com into Paradise Poker, and I became Events Director for them and started organizing poker events. I realized that poker was the perfect way to make it social, right? With sports betting the content is still relevant and fun, but with casinos there’s very little relevant, interesting content. So I found that poker was the perfect synergy for all these brands to get relevant content, social time, face time. And I became very interested in destination poker travel. This was right when you started, at 19 years old? Already, then, you knew this is something like a calling for you? Exactly. It was a calling for me, it was the niche. In Costa Rica, our first industry is tourism, so I grew up highly dedicated and devoted to customer service and tourism. So it’s no wonder that I found a way to mix it up with poker. So for all my tournaments, I’ve chosen great destinations. That was the thing, you know? I don’t do a poker event at just any destination. I have to try it out myself — I have to get the massage, try the food, do everything, scout the venue, and really feel passionate about it. If I’m not passionate about the property, I’m not doing it. So when you were starting, did you already know about poker or did you sort of learn on the job? Did you used to play or have some family members who maybe played and taught you? It was funny because I was doing marketing for poker and didn’t know how to play poker. And that became ridiculous until one of my friends at the time and colleagues, Reinaldo Venegas, who now works for PokerStars, taught me how to play poker, and I loved it. After that, I’m like, yeah. Not only I want to work in this, but I want to enjoy it, I want to play it, I want to live it! 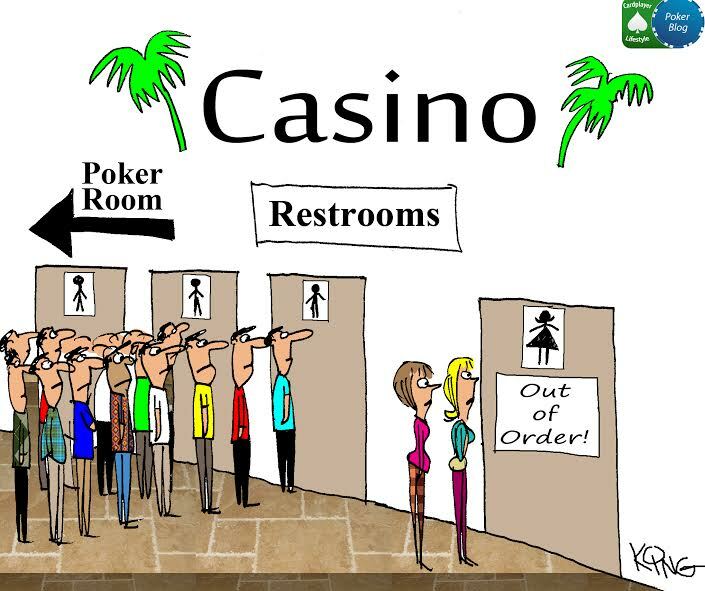 What is it about the game of poker that excites you and that is so attractive to you? I’m a super competitive person, so I love it. I absolutely love it. It involves risk. However, I have my limits. I mean, I’m a tournament player. I don’t play cash games. 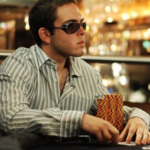 I believe people who play cash games have to be extremely disciplined. And tournament play gives me those boundaries, right? You play with chips, you’re not playing anymore with money, with the buy-in. So this is something I like, you know. I like to keep that in my life. Very interesting. And specifically Hold ’em, or do you also dabble in other poker variants? Well, lately I have been playing open-faced Chinese, but No-limit Hold ’em is my passion for sure. Do you think that perhaps in future editions of the Malta Poker Festival will have OFC or other non-Hold’em variants? Yes, variation tournaments are my dream. To make, to bring innovation, and to bring fun. I have some clients from Sweden who play Sviten Special. It’s like a variant of a game called Mexico that I used to play. It’s very fun, and I want to bring this to the festival. As you and I have gotten to know each other a bit over the last few months leading up to this event, I’ve learned that you don’t sleep a lot, and that much less during the event. You told me that you’ve been waking up at four o’clock every morning and going to sleep at two in the morning. Still, every time I see you, it doesn’t matter what time of day, you’re bursting with energy. So. How much coffee and Red Bull do you drink? 😀 I’m kidding, of course, but in all seriousness, where does all that energy come from? From high motivation and from my staff. I mean, here at Portomaso Casino, they are treating me so nice. They understand that it’s long hours, so they treat me like a princess here. You know it’s hard to leave, when the event ends. It’s hard to leave when Daniel Farrugia, the chef, cooks for me nice healthy meals. Now that I’m in my forties, I’m trying to keep my diet nice, and so I don’t do sodas and those foods. Good for you. Natural energy, it’s from within. Yes! Well, because we Costa Ricans have good energy. This morning, I was playing ping-pong with a friend, table tennis. Wow. How do you have time for ping-pong with all of this going on? I unplugged my phone for an hour, and it brought me a lot of energy; a good sweat. Generally, do you have any other fitness activities that you’re into? Yeah, I do Pilates twice a week. And just today as well I met my yoga instructor and I’m going to keep on yogi-ing it after the event, because it takes a lot of time. And with the kids and everything, it’s challenging. It’s interesting that you say that; you must have read my next question. You’re the mother of a three-year-old and a one-year-old, and naturally, children of that age need a parent’s care and attention. Especially while the festival is going on, how do you manage your time so that you can ensure you attend both to your family as well as to your professional responsibilities? Do you have any sort of support network in place to assist you? Absolutely. And this is something that I will post very soon on Facebook, because there is a woman behind this woman. And it’s my mom. Without my mom, I couldn’t make it. Oh, that’s so beautiful. What’s her name? Gisele. Well, Gisele, you get a lot of credit as well for making sure an amazing festival can take place. She comes from Costa Rica. Yeah, because I’m not Maltese. I live in Malta, but I’m not Maltese. My family is not here. So that makes it super challenging, too. Because it’s not the same to leave them with a nanny versus to leave them with their grandma. So my mom comes, and takes over completely for a whole week. Even though the kids are so close, I cannot see them. I really can’t. I tried yesterday to step in my car and just escape for half an hour, and I was not able to. So we have come to the agreement that it’s better for me to treat this week as though I’m abroad, and my mom takes over. I mean, she has her own house in Costa Rica, it’s not that she’s alone. She has responsibilities and also needs to be with my father, etc. But during all the years I’ve been doing poker tournaments in November, she’s the woman behind the woman. And also the father of our children, Alexis, he’s very committed as well. Sure. So, I guess the balance is, then, that the other 51 weeks of the year, you’re much more there and present. Exactly. As soon as this tournament is over, I’m switching gears to being a great mom. There you go. Everyone needs the balance in life. Well, another baby of yours is, of course, is the Malta Poker Festival. Of course you’ve spearheaded the entire campaign. But as you’ve mentioned, it’s not something that one person can do alone, even if you only sleep two hours a day. You mentioned your team a lot. About how many people have been involved working behind the scenes prior to and during the event, to make it happen and make sure that it goes smoothly? Maybe you can give us some examples of the different roles that these people have. Oh, absolutely. And one thing I want to emphasize is, because I am the PR person and the event director, I get a lot of media time, face time, and people interview me, and they know my name, you can Google me. And I think that’s a little bit unfair to my team, because there is a lot behind this woman, there is a lot of people. For example, teaming up with Portomaso — this has been the tournament I’ve enjoyed the most in my entire life. I’ve done a lot of tournaments, so that has to mean something. And I think the secret of that success has been, first of all, the owner of this property, the owner of Portomaso Casino and Hilton property, has believed in my dreams. I just sent him a message today, I’m like, “Thank you for making my dreams come true.” And he said, “I didn’t do anything.” And I said, “A dreamer without a backer is nothing.” And, well, first of all the owner, and then Portomaso has some excellent marketing team, led by Duncan Cashia, and he has Manal Nassar, who does social media. And these guys are flawless, I mean, they are machines. Also, the Portomaso logistical team, led by J.J. Galea and his team, I mean, it’s like, Aladdin. But he makes every single wish come true. I don’t know if you’ve seen the tournament clock in the main room? I think we can say that it’s one of the biggest tournament clocks in the world. It’s pretty gigantic. You can see it from every corner of the room. Exactly. I would actually like to know if there’s a bigger one, because I think we might be on to something here. And there is Jasmine, the show’s performing artist. She and Simon Gatt from Resorts Incentive helped create the shows. I mean, there’s so many people behind it. Even now, that we’re sitting here in the buffet area, the kitchen, Daniel Farrugia, food and beverages manager, with all his staff, always smiling. I mean, Danilo De Berardinis, the tournament director, comes from having run several EPTs, and of course the many excellent dealers we have here. There are a lot of people behind this woman, I can tell you that. Sure, it’s a tremendously extensive operation, and at the same time, you’ve also thought of every single thing down to the last detail. One of the very interesting and unique things that you’ve done here at the Malta Poker Festival, I’ve never seen it before, rather than the traditional shuffle up and deal before each day of the main event, you staged a performance, which I thought was really amazing. How did you think of that idea, and what has the response been to it? Great. I love that you asked me that, because there’s a lot of effort put behind it. Poker has become a little bit boring, I must say. Poker tournaments in general, with big prize pools, unlimited reentries just to arrive at a big prize pool, just to brag about a number of entries, leaving the players competing in a turbo. I went to play a tournament three years ago, and I felt that it was just so fast. I mean, I spent a thousand euros and I didn’t have any enjoyment. As a woman, I was left feeling that it would’ve been better for me to spend the €1,000 shopping. Because I busted in something ridiculous, like 10 hands. It was a super turbo and I busted with pocket aces. Classical bad beat. So this got me thinking: Why don’t we give players a little bit more? So then I came up with this concept of spectacularizing poker a little bit. Giving each tournament added value. And I don’t know if you saw the shows — they all have to do with poker. The artists sat down and they asked me questions about poker. They didn’t know anything about poker. So they crafted the show specifically for this? For this, yes. One of the shows had all to do about winning money, and that’s why he said, “You fucker!” I thought it was brilliant. It resonates with the players in that way. Yeah, they captured the essence of what it is to be stressed out, getting to Day 2, when there’s a lot of money behind it. So I hope the show relaxed the players, or got them in a little bit of a mood of a festival. We’re here celebrating poker, celebrating life, because we’re all alive and that’s important. And celebrating networking, celebrating that we’re all here, spending time together, eating together. The players are competing, but when you see them in the buffet areas and you feel the vibe, I don’t know if you felt this, but this festival, it was a feel-good tour. A lot of smiles everywhere. At the tables as well, even among opponents. Exactly. And that I loved, you know. One player sent me a message today, saying “This is a feel-good tour, instead of a fast-food joint.” We include the buffet here for the tournament players. If I have supervised the buffet myself, with the food and beverage manager, Daniel Farrugia, and Daniel is amazing. I mean, he cooks lean. It’s probably one of the most fun parts of the job, getting to sample all the food, yeah? Yeah, of course. And cooking for almost 2,000 people is very difficult. Every day. So it’s a massive effort, and I think we’ve tackled it. I mean, I think the food is quite good, the players are enjoying it, it’s value, value, value. Remember that I’m a player too, so I want to bring value to my peers, too. Honestly, I think that’s where a lot of operations need to shape up, because sometimes it’s just casino, and there’s nothing in between. They focus on offering games like Tequila Poker to their patrons and just act as a physical venue for the poker tournaments; nothing else. And in that sense, Portomaso and I have created a synergy where we leverage each other in a very interesting way. This is a brand-new festival. It’s the first time it’s being run, and, you know, when I see the numbers, I think you guys did pretty well. 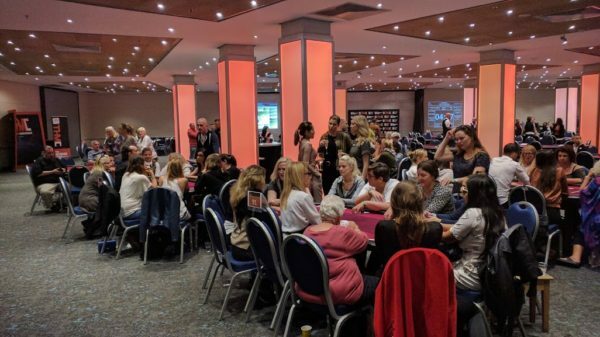 Just to give some examples, 491 players in the inaugural Hendon Mob Championship, 1,366 players in the Grand Event, and an astounding 103 players in the Ladies’ Event. How did you get the turnout to be so good, especially in that Ladies’ Event? Well, on the Ladies’ Event, it was actually the ambassadors that did a fantastic job. I mean, I have to thank Unibet ambassador Daiva Byrne especially, because she really committed. I mean, she’s so good for the game. Some people don’t understand, how hard she works. She writes a blog, runs a 2,000-person Facebook group for women, does podcasts analyzing hands, and of course plays, too. She’s an excellent ambassador and her commitment to the game is something that I am quite impressed with along with her work ethics. So, Daiva is one example, as well. Fiona Sand, from Norway, is another example. And they helped to bring more women into the tournament? Yes, it was all about networking. I would say that 2018 was the Year of the Woman in poker. Yeah, so we helped each other, and this was the first edition. Our ambition is to make it the biggest Ladies Event in Europe. Wow, that would be really impressive! Well, we’re at the close of the Malta Poker Festival for now, all the events are behind us. It’s the culmination of loads of time and effort. Are you happy with how things have gone, and are you already thinking of plans for future years? Yeah. Of course I’m already planning 2019; we want to release the dates as soon as possible. There’s no time to waste. But now comes the beautiful part of my job, the part that I enjoy a lot. Today, I locked myself in a room with my closest staff members, we have a little bit of wine, and we start reading the feedback. And we do the bloopers, the video man sends us all the bloopers. We have a little bit of a laugh with some things that happened. A guy left a laptop in a restaurant and we found it for him. We go the extra mile to provide Class A service. I called this location, Portomaso Casino and the Malta Poker Festival, a five-star poker operation. 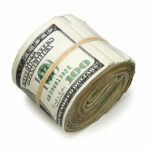 We understand we’re dealing with human capital here, and happiness is a big component. So we become a little bit more of a family-oriented too, because I love when, for example, the dad comes with the family, and the family enjoys the beautiful property while dad is having fun playing; or mom, or both. I want to do a babysitting service for next year. True story. That I have never heard of anywhere. That would be amazing. We want to develop enough, especially for the tournament, to have a babysitting service at the Hilton hotel. I think a lot of people will avail themselves of something like that, and it really speaks to a lot of people. As poker players get older they get married, have kids, and having someone to watch the children can often be the kind of thing that’s make-or-break, of even being able to attend. If you have a service available, I think that would be really amazing. That’s what we’re working on. And not that the babysitter goes to your room, but we will have a suite that has a bigger TV than usual, and you put the kids there to interact with each other so they are safe, they are learning, and enjoying themselves. That’s how we roll. Like, it’s not poker only, it’s everything. Family, children, food. The whole package. One of the things I’ve noticed is that you have also partnered with the government of Malta itself. As far as I know, even the largest, most established poker brands holding the largest live events in the world don’t manage to get the attention and cooperation directly from the government of the country. How on earth did you manage that and develop a relationship with the right people? That is a great question. I am very thankful for the Malta Tourism Authority (MTA) because they are understanding. Malta is an iGaming hub, and they understand the impact that a tournament like this has. November is a slow season here, so they understand that this poker tournament fills up a big gap, contributes to the GDP of the country. It’s such a small island, you feel the impact. I mean, I remember one year, after one of my tournaments, I went to the supermarket and the line of poker players buying ice cream was ridiculous. So it hit me, like, alright, this is something special. So, I knocked on their doors, and as relentless as I am, I knocked and knocked and knocked until they started listening. The MTA is amazing. They are fantastic. They are so receptive, so forward-thinking. And this is one of the reasons why the Malta Poker Festival is possible. I decided on Malta, as opposed to somewhere else where legally it might be a gray area. Here, we have all the iGaming community, a lot of established operators, so they are helping a lot because for them, it is nicer to have a tournament at home base, in their backyard. That way they save expenses on sending their staff abroad, paying hotels. And the Malta Tourism Authority has understood that and has supported me all the way with this one. It’s amazing. And the results, show that this is a Class A event. Well, obviously you’ve been working very hard to “Get butts in the seats,” and have people playing poker here. But as you’ve clearly stressed, even numerous times in the interview, it’s more important for you that people come and visit the beautiful island and have a great time on a poker trip, much more than just beyond the felt. What is it that makes you want to stress that aspect of this idea of a poker holiday? 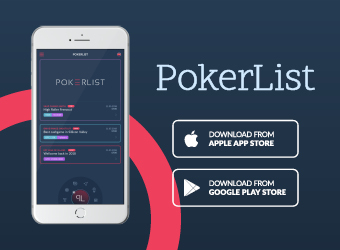 The idea that you can build very interesting relationships through poker. I’ve met all sorts of people from all walks of life on the poker felt. Business people, chefs, artists. 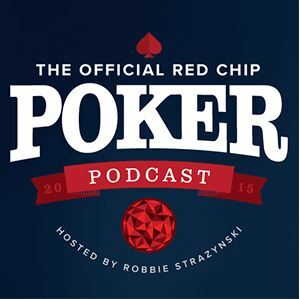 It’s been an amazing range of different people, and we all share the passion for poker. Once I was speaking with some friends, and I was telling them how I liked that if you go out in a bar and you’re clubbing, sometimes people talk about other people and do these things. When you’re in a poker tournament, people talk about poker hands. And that brings a meta-language. Even during the breaks, so this makes us all united and fantasize about mathematics, about hands. They say that mediocre people talk about other people, smart people talk about ideas. 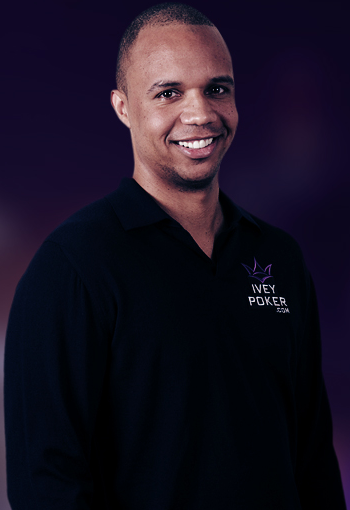 We poker players, we talk about a meta-language that unites us and I believe that energy, that collective energy is very positive. So, saying that, I don’t think the breaks are enough for all of us to get to know each other. So my wish, and expect this for future editions, is to put it on an even more social scale. So perhaps we’re going to do some innovation in that, too. Make a nice little tour of Valetta, our beautiful capital. Having done so, I can absolutely say it’s an amazing city, I really enjoyed it. Yeah, it was named the European capital culture for 2018, and it is a gorgeous jewel. I mean, I’m in love with this island! My wife and I had never been here before, and we know we’re going to miss it as soon as we leave. It’s an amazing place. Then mission accomplished. If all the players leave feeling that, that is the feeling of satisfaction, and on top of that, a five-star poker operation. Well, obviously it takes months of work to put together and organize a festival like this. I’m curious, what do you do during the other months of the year? What is your day-to-day schedule like? How do you keep busy when not specifically organizing or working on this event? What else do you do? Well, to be honest with you, I was planning to take a big holiday with my kids in my hometown of Costa Rica, but that’s going to be cut short because I have a super exciting poker plan for March. So I have to go back to the drawing table very soon. And it’s a dream one. We’ll stay tuned then 😀. OK, so one final question, and I think it’s an important one to ask. As a woman who’s risen to such a prominent position within a very heavily male-dominated poker industry, you also understand firsthand how challenging that can me. 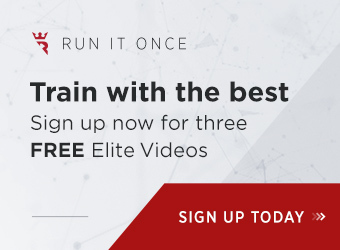 More so than “just for a man.” So, what kind of message would you like to share with other women who see you and might be interested in joining the poker industry side of things, but might be a little hesitant or afraid to try? Oh, I love that question, because at the beginning, it was very challenging. Even sitting at the poker tables has been challenging because – imagine the ratio – it’s nine guys and you sit down and you’re the only woman, that itself creates a different chemistry. So I would suggest if someone is interested in joining the poker industry, well, play poker, for sure, and play ladies’ events. Ladies events give you a lot of security on the felt. I mean, I don’t know if you saw the ladies’ event, bubbly, they were having champagne, they were enjoying, complimenting each other’s outfits. Yes, it was a beautiful event, for sure. And I would suggest, to anyone interested in the industry side of things, to learn how to play poker, and then apply and don’t be shy. Don’t ever be threatened, because we have a lot to offer as women. We can be very good team leaders, and we can motivate people in a very special way, and even being a mom helps me a little bit understand people and their unique backgrounds and perspectives better. 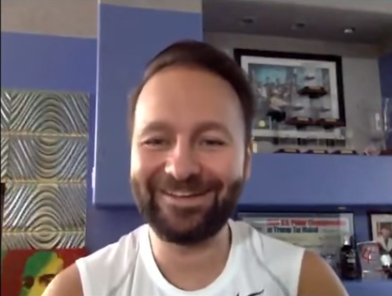 I’m sure a lot of our readers would like to learn more about you and follow your journey in the poker industry, and maybe get in touch with additional questions. So how or where can they reach you? They can reach me at ivonne@themaltapokerfestival.com. Ivonne, it’s been a pleasure chatting with you, thank you so much for your time.